Queen Creek Olive Mill, Arizona’s only working olive farm and mill, delivers a true agritourism experience for visitors. This family-owned stop along Mesa’s Fresh Foodie Trail® embraces the entire olive oil-making process from “Blossom to Bottle” and carries it through to their tour, marketplace, and eatery. What makes Extra Virgin Olive Oil ‘Extra Virgin’? What is the difference between a green and purple olive? Find out the answers to these questions and more in Queen Creek Olive Mill’s Olive Oil 101 Tour. You will learn about the journey an olive takes from blossom to bottling, health benefits related to EVOO, and gain ideas on how to incorporate olive oil into your cooking. Tours begin on the bottom of the hour from 9:30 a.m. – 3:30 p.m. We give this class an A+! 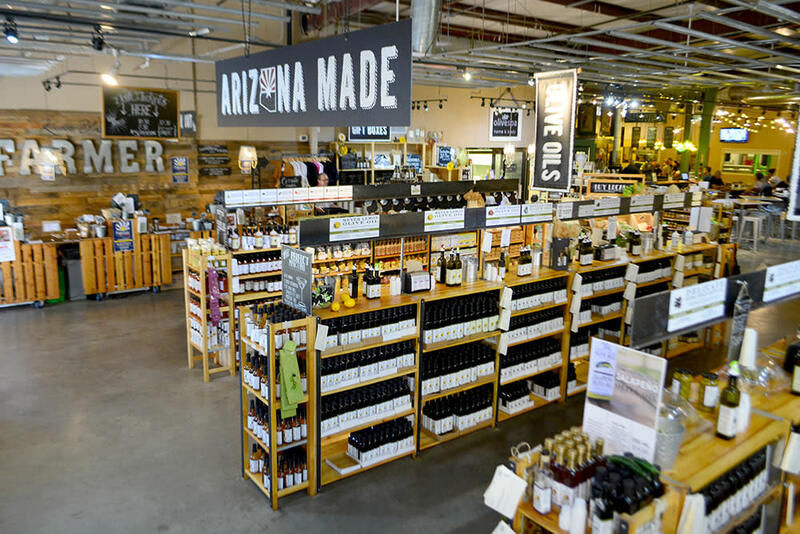 Taste your way through the aisles of Queen Creek Olive Mill’s marketplace by sampling their signature, co-pressed, and infused oils. Meyer lemon, bacon, and chocolate flavored olive oil awaits you and your taste buds. You’ll find more than just olive oil in their marketplace, as it is filled with many local, unique treasures including their Olivespa line of home and body products and treats from partnering businesses in the area. Bonus: They’ll ship what you purchase, so if you traveled to Mesa City Limitless® with just a piece of carry-on luggage you won’t miss out on delectable souvenirs. 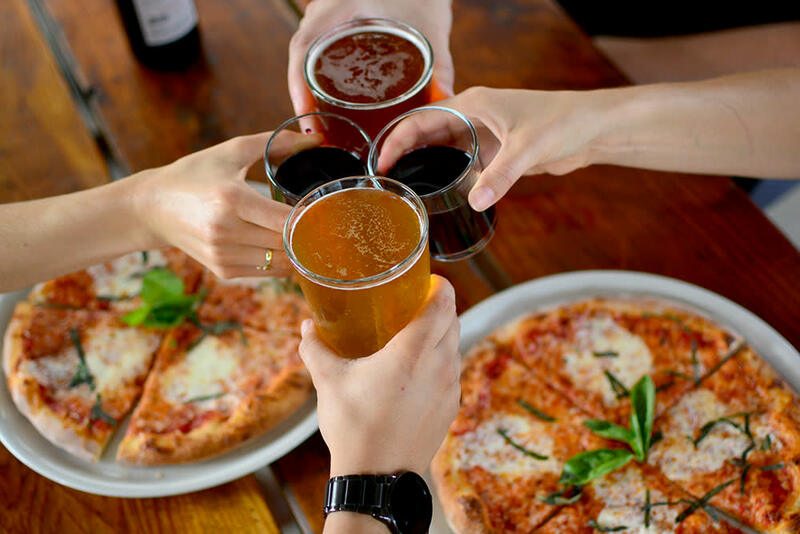 Order breakfast, lunch, or dinner from Queen Creek Olive Mill’s Italian-inspired eatery and dine al fresco in the grove. Their menu features old world family recipes using local and garden-sourced ingredients that showcase their olive oil. We suggest the vanilla bean olive oil waffle for breakfast, Kalamata sandwich for lunch, and the Margherita-Mill pizza for dinner. Bon appétit! Grab an afternoon pick-me-up at Queen Creek Olive Mill’s in-house roaster, Superstition Coffee. With coffee roasted daily, you’ll enjoy a fresh latte or Americano to enjoy out in the grove or to take to go. If you head out to Queen Creek Olive Mill make sure to tag your photos with #VisitMesa and #MesaCityLimitless to show us how you toured, shopped and ate there!